The Democratic Republic of the Congo (DRC) and rebel group M23 signed a peace treaty in the Kenyan capital of Nairobi. 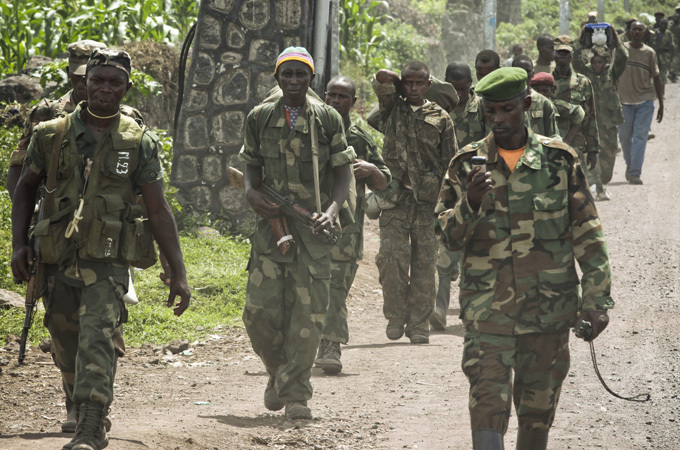 The armed group began to grow weak from failed attacks against DRC troops with UN support. The M23 rebels were originally part of the country’s army but deviated in 2012 disrupting the public and deploying acts of terrorism. The militia became the latest version of Tutsi-led guerrillas, fighting over the mining and trade of rich minerals in the eastern provinces of Africa. The DRC government continues to accuse the countries of Rwanda and Uganda for aiding the violence, and reinforcing rebel groups such as M23. However the countries deny any support to the resistance, declaring they have no control over the radical warfare. The growing conflict in Africa has escalated due to the mass consumption and exportation of minerals. The raw materials have been coined as Conflict Minerals, similar in reference to Blood Diamonds and are otherwise known as 3TG (Tantalum, Tungsten, Tin, and Gold). The mineral trade in East Africa has been monopolized by militias and continues to grow in numbers and is reported as the “The Worlds Deadliest War” by Time Magazine. No one is exempt from the deadly conditions of the mines and grave Human Rights abuses, not even children. As a result, Dodd-Frank Consumer & Protection Act SEC 1502 was brought into legislation on August 2012. The U.S. federal law requires all publicly traded companies to report whether 3TG’s reside in their supply chains and if so to mitigate any trace of the minerals. The diagnosis of Conflict Minerals in a company supply chain is considered an intimidating mission for direct suppliers and indirect supplier industries. All corporations must dive deep beyond Tier 1 and 2 suppliers, into the mines and smelters where the minerals derive. The outreach for technical support in locating and mitigating the use of minerals in high risk areas is limited. There are four different methods of Conflict Minerals Compliance programs: In-house, consultant, software, or a full service solution by a third party. In-House support will rely heavily on company employees to understand the complex methods of Tier outreach, language barriers, and expertise in a field that is green. Consultants may be engaged to provide granular level of analysis to hone in on suspect products while a Full Service Provider may leverage known databases of products, product categories and keyword lists to more efficiently analyze product information in order to flag products to be included in the report. The services of a Full Service database company, such as Source Intelligence, are comprehensive with industry experts, and formatted for real time analytics. Filed based (software only) assistance is a static collection of information in spreadsheet. The data of a file based program lacks ability to enact intelligent decisions that are up to date with the ever changing sources of conflict. The assessment of a data base are efficiently and accurately demonstrated with dynamic inputs supported by industry expertise, that is typically not found in software alone. While it may be possible via consultants, the cost is extreme and the data is inactive. Conflict-Free disclosure is the key in industry reporting with the final deadline approaching, May 31, 2014. All U.S. publicly traded companies will need to file and report the source of minerals in their supply chains and exercise their Due Diligence to improve supply chain transparency.